Mrs. Roosevelt was a force on her own and quite an amazing woman. I found one quote that said she was the "shadow president" because of her influence and intellect. 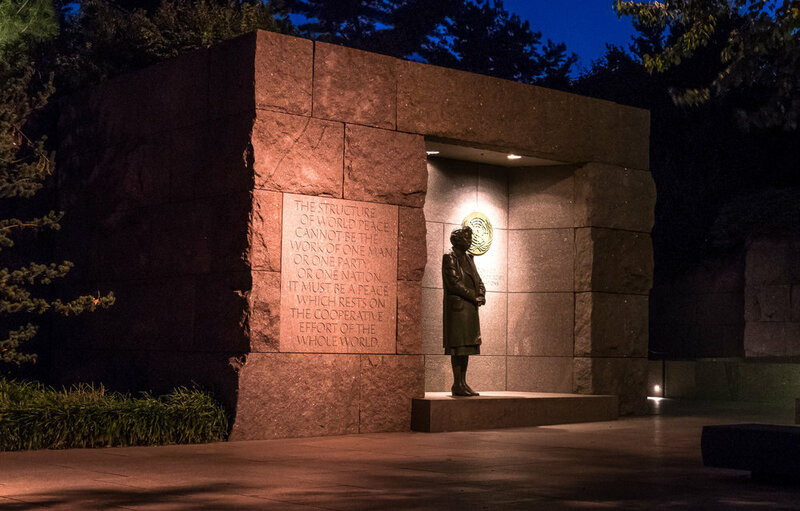 So, at the FDR Memorial in Washington DC this shot of Mrs. Roosevelt in the shadow seemed very appropriate.